I’m so excited that Toy Story Land is now open at Walt Disney World! This will be the first new expansion at Disney’s Hollywood Studios since 1994. The new land, themed to Andy’s backyard and all of his favorite toys, is being revealed right in the middle of the peak summer season. It’s going to be incredibly busy, but with this guide you’ll get a really good understanding of what’s in store. Read on to learn more about the new Toy Story Land, what it brings to the table, what to expect in terms of crowds and how to deal with them. Disney openings are notoriously huge with record crowds and multiple hour wait times for a single ride. Disney’s Hollywood Studios is not a large park to begin with, which is why this expansion is so important to the park. What that also means is that there will be growing pains as the park reaches full capacity and has to turn guests away at the gate. For those who do make it in to experience the new land, remember to be patient and try to enjoy yourself. Toy Story Land is located behind Pixar Place around the back of the Chinese Theatre. It will include the recently refurbished Toy Story Mania attraction in which guests are invited by Woody, Buzz and the gang to try their hand at racking up points on various Toy Story themed carnival rides, full of thrilling competitive fun that uses 3D technology to work it’s magic. 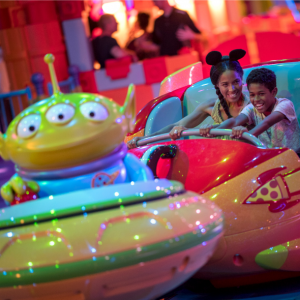 The new offerings as you go deep into Andy’s backyard are the Slinky Dog Dash and the Alien Swirling Saucers. The saucers should be familiar to anyone who’s visited Cars Land at Disney’s California Adventure. It’s the same spinning, twirling attraction. The new sci-fi theme features the green aliens from the claw machine at Pizza Planet. Slinky Dog Dash is a coaster that zips all over Toy Story Land. It will be open to all guests that reach the minimum height requirement of 38 inches. Slinky Dog Dash is the big attraction in the area. Across from it in the back is the Alien Swirling Saucers attraction. In the front of the land on the opposite corner of the main entrance is Woody’s Lunch Box. The Lunch Box is a counter service food location within Toy Story Land that will serve breakfast, lunch and dinner. 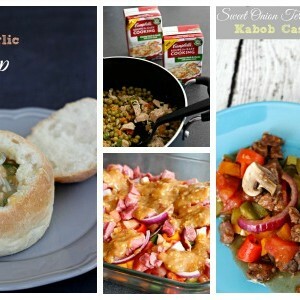 It features a sure-to-be-popular dessert, lunch box tarts. The stuffed pastries will come in raspberry and chocolate hazelnut. It’s going to be a very crowded opening and is going to reach capacity – meaning guests will be turned away at the park gate. To ensure your entry into the park, arrive two hours in advance. I know – ouch – but worth it to ensure you get in on the fun! If you’re staying at a resort within walking distance, you should walk. Otherwise, use a ride sharing app so you aren’t waiting for busses or searching for parking. Since the Lunch Box serves food all day, finding an opportunity to slip in will be challenging. Have someone in your party get the food while you’re waiting in line. That way you can eat while you wait! In the coming months, it will be very important to have a Fastpass for Slinky Dog Dash and continue to arrive at the park early. If you can get a Fastpass for evening, use a park hopper ticket to get in during the late afternoon after many of the morning’s guests have left. If you’ve been to Toy Story Land, let me know your thoughts! Sensory bin activities can be a great addition to your lesson plan, or even just a fun way to keep the kiddos entertained while you’re making dinner. My kids LOVE sensory bin activities! 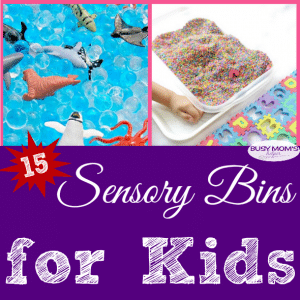 If you’re looking for some fresh new ideas, don’t miss these 15 Sensory Bins for Kids. A cork trivet is a stylish solution to protect your table from hot dishes or cold, condensating glassware. 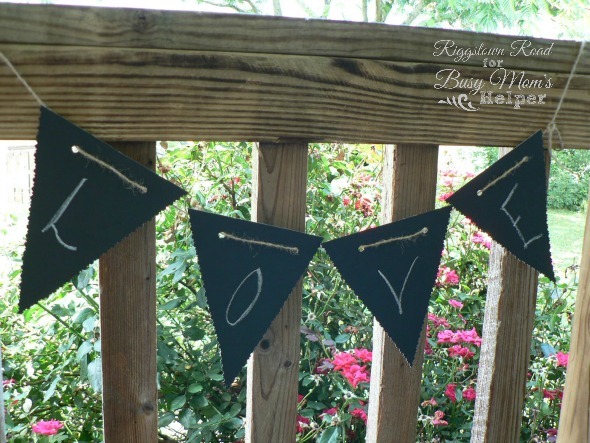 This do-it-yourself version is easy to make with a few basic supplies and a little creativity. Hello! 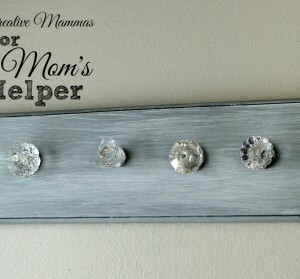 It’s Keri from One Mama’s Daily Drama and today I’m going to share with you an easy craft that you can do in less than an hour. I’ve had several pieces of cork board sitting in my craft stash for a while that have been begging to be used. If you don’t have any cork, check your local office supply store. With back-to-schools sales popping up, there will probably be some great deals on small cork boards for dorms. You can make this cork trivet in any size or shape, so use whatever you like. The cork I used was thin, so if you find something that is pretty thick, you might be able to use just one layer. *This is a protective layer that will coat the finished trivet so that the colors don’t smudge or fade. 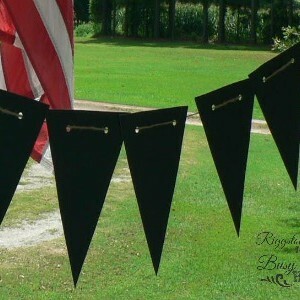 I had some that I got at the hardware store for other projects, but you should be able to find it at craft stores too. 1. Before getting started, it’s important to find a good work space. I went outside so that I didn’t have to worry about fumes from the glue or polyurethane. I also spread out newspaper to protect my table. 2. Start by deciding how big you want your trivet. Since my cork was a 12-inch square, I thought 12-by-6 was good. Measure and draw a line where you want to cut. Cut the cork with a sharp pair of scissors and trim the edges as needed to remove any uneven bits. You need two pieces of cork that are the same size. 3. Lay one piece of cork on the work surface and spray a generous amount of glue. Immediately place the second piece of cork on top and line them up. The spray glue won’t set instantly, so you have a few seconds to adjust the cork pieces if necessary. Let the glue dry for two or three minutes. 4. On one side of the cork, use the ruler and sharpies to draw your design. I love the colors of my patio cushions, so I used red, orange, turquoise, and black to match. I just drew straight lines using the ruler and filled them in randomly. 5. When you have finished decorating the cork, use the polyurethane to coat the top. I sprayed two layers, letting it dry about twenty minutes in between. Let the final coat of polyurethane dry for an hour or longer, until it is not tacky at all. You can use any colors or designs you want to decorate your trivet. Freehand a design or use a stencil. You could also make some smaller square coasters to match. 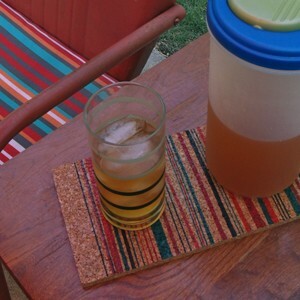 This was so easy to do and I love how my cork trivet can be pretty and functional. For more matching table décor, make a few mason jar candle holders using the same color scheme. It’s July. I repeat – it’s JULY! Over a month into summer, less than 2 months until school is back in full swing. Seriously?! I use to think time went by so slowly, but holy cow it’s flying by now. 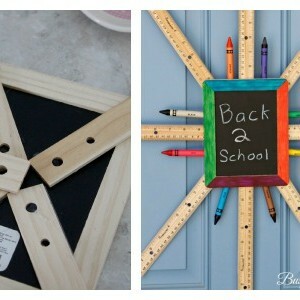 Guess we better get a head start while we can, starting with this fun Back to School Decor! For this month’s Craft Lightning theme, it’s all about Back to School – and everything takes 15 minutes or less, as per tradition. I wasn’t sure what I wanted to do at first – I think my mind was protesting the fact that school will start next month – but then decided to take some common school supplies and make them into a neat school wreath for our door! Lay out everything so you know how you want it to look BEFORE you start gluing. 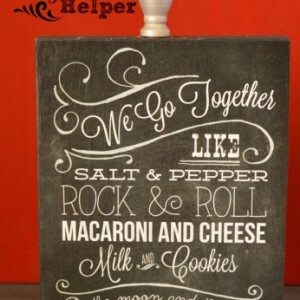 Start with a layer of rulers, centered in the middle of the chalkboard back with some hot glue, plus glue on the frame so they have two spots holding them into place. Stack the next layer on top to add some dimension. Keep layer things until it’s as simple/full as you want it, then a dab of hot glue to make the ribbon a hanger and you’re done! You can switch things out for markers or color pencils, glue sticks, whatever school supplies you want to get your desired look. My frame originally came plain wood, so I used markers to give it some color. Be sure to check out the other amazing Back to School Crafts for this month’s Craft Lightning fun all week! Growing up, it was awful doing any type of car trip – whether it was to Grandma’s house across the state or just an hour trip to the zoo, my motion sickness really got in the way of my fun. Unfortunately, my daughter gets motion sickness, too – even worse than I ever did. Luckily we can now keep it controlled and there’s No More Missed Moments: Our Trip to the Zoo! If we went further than about 30 minutes from our house – so pretty much anywhere – no matter what the roads were like, she’d get sick and need to use one of the baggies we’ve learned to keep stocked in the vehicle. When we decided it was time to just tough it out and go to the zoo, I was really worried it’d be a miserable time! 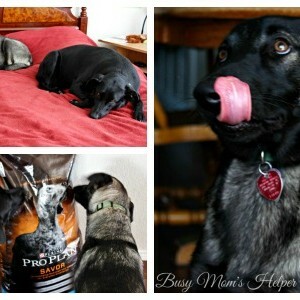 We decided to take the ‘No More Missed Moments Challenge’ and Dramamine® Non-Drowsy Naturals and they worked like a charm! I don’t have to worry, because they contain the clinically-tested ginger dosage required for preventing and treating motion sickness, so it’s safe to use every day if we need it. That’s going to be a life-saver when we go to some theme parks this year! I made sure to give it to her about 30 minutes before we left, as it directed, and it lasted her all the way there, in the park, AND the drive home that late afternoon. 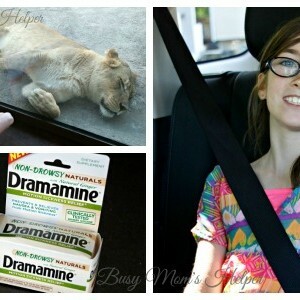 I’m so glad Dramamine® Non-Drowsy Naturals are non-drowsy, otherwise our day at the zoo wouldn’t have been nearly as fun and active! She was so excited that she didn’t have to reach for your baggie stash even once on the drive – and we even hit major stop-and-go traffic due to construction during the hour drive! Ya, normally that would’ve been pure torture!